The men's Indian cricket team has been put in its place as the Australians inflicted a 333 runs victory over India at Pune in the first test match of the Border Gavaskar Trophy, that too on the third day itself. On a pitch that was tailor made for their own spinners, the Indians were crushed to pulp. Some may argue that the pitch was unfit for test cricket but then, the same conditions applied to both the teams. The fact of the matter is that the visitors simply outclassed, outmatched and outplayed the Indian team in all three departments. Beating India so comprehensively in their own backyard is no mean feat. 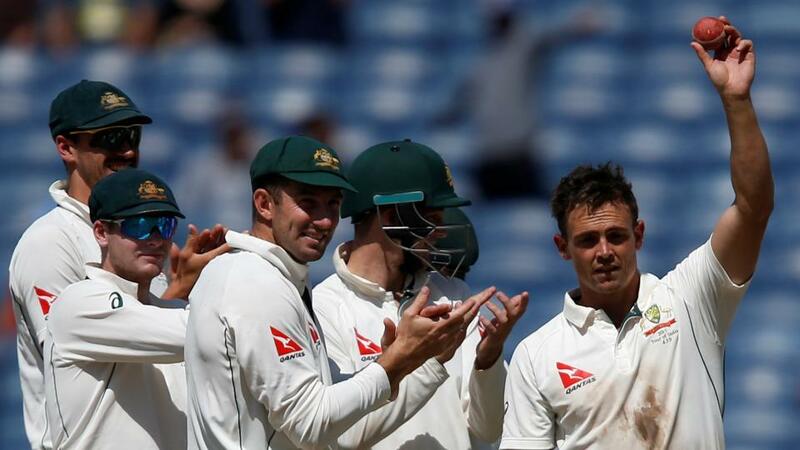 Steve O'Keefe was declared the man of the match for his twelve wickets, 6 a piece in each of the innings. However one shouldn't forget the contributions of Mitchell Starc, Renshaw and of course Steven Smith for his superlative hundred in the second innings. The Australians truly deserved to win, they were the better side on each of the three days. This heavy defeat is a much needed reality check for team India. They had probably under-estimated the Australian team and complacency probably slipped in. It was also increasingly becoming irritating to hear some of the former Indian stars being completely dismissive of the Australians. Even before the series had started, Harbhajan Singh commented that the current Australian side is the weakest to tour India and that they may not even manage to secure a draw in the series. Even the former captain Sourav Ganguly had predicted that the Australian side would face a 0-4 humiliation against India in Test series. "It's hard to beat India in India. There couldn't have been a much stronger team which came to India than the 2001 Australian side with the likes of Waugh, Warne, McGrath, Gillespie. But they still couldn’t win it," Ganguly had said. "You see the number of times India have lost a series at home... Can’t remember! Australia will find it very hard. I had predicted before England that it’ll be 5-0 but it was 4-0. Australia could go the 4-0 way as well,", he had boasted. These former cricketers certainly needed a rude awakening this way. Instead of shooting from the mouth, one would do better to focus on the job at hand. I just hope that the Indian team will take this defeat in their stride and will show more application in the coming matches.